For live, multi-camera and outside broadcast (OB) requirements, we carry a wide range of specialist production equipment including vision mixers, routers, signal converters and monitoring. We also stock SMPTE optical fiber cables in a range of lengths. Our hire team have extensive experience in this area and can advise you on specific solutions for live and multi-camera projects. 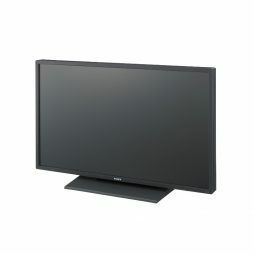 Full 1920 x 1080 HD 47″ LCD monitor with HD-SDI, DVI/HDMI & analogue composite video inputs. Useful as a client monitor in post-production suites or in conjunction with a multi-viewer on multi-cam productions. 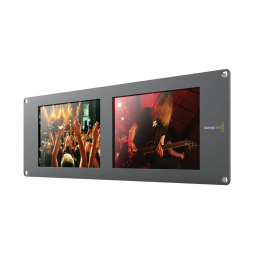 Blackmagic Design’s ATEM 1 M/E Broadcast Panel gives greater control over the ATEM 1 M/E Switcher than the standard software interface. 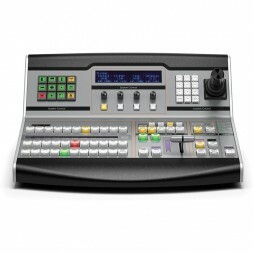 Especially useful for more demanding live events, or when you need greater physical control over fades and wipes, this unit allows you to concentrate on the action by acting as a traditional switcher desk. Compact and lightweight, the ATEM 1 M/E Panel fits perfectly in with Blackmagic’s “portable studio” ethos – you can quickly install this as part an OB almost anywhere. 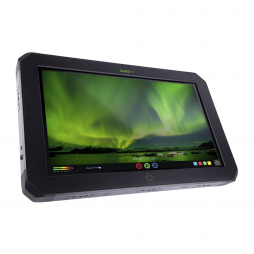 Pairing recording functions with a high-brightness 19″ monitor screen, the Atomos Sumo 19″ Monitor/Recorder allows your production monitor to do immediate playback and record dailies. Provided with a stand bracket and mains & battery cabling as standard, our Sumo kits will work wherever you do. A future firmware update will add a built-in quad splitter, allowing you to mix and switch up to four camera inputs on multi-cam projects. 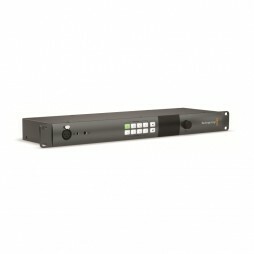 A rack-mounted optical fibre interface for up to four camera channels and with support for tally & talkback functions. 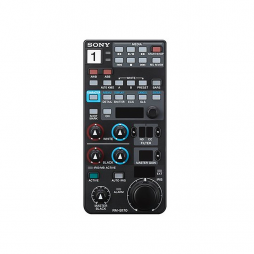 We recommend this for use alongside our Blackmagic Design ATEM Production Switcher for excellent multi-camera control in a mobile studio format. High-specification multi-format 17″ monitor with waveform & vectorscope display function. Popular on studio when powered from a mains source or on location when powered by block batteries, this monitor can go anywhere you go and show you anything there is to see there. The SmallHD 703 UltraBright is recommended when precise image composition, colour and exposure assessment is essential. Whilst particularly well-suited for on-camera use, its rugged design and functionality also makes the 703 a good choice as a handheld/wireless directors monitor, especially considering how well it performs in high light. 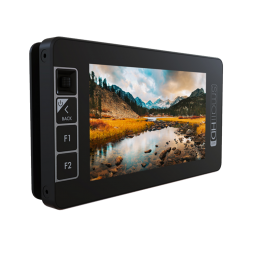 Features of the SmallHD 703 UltraBright monitor include a 2200 nit brightness display, SDI & HDMI inputs, dual A/B source monitoring and 3D LUT support. Monitor functions are also quickly accessible via the intuitive joystick control. 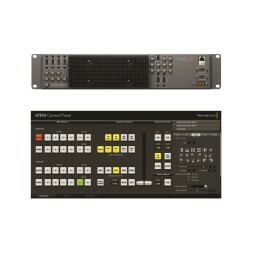 A compact, multi-format 20×20 SDI router which supports HD & UHD signals. 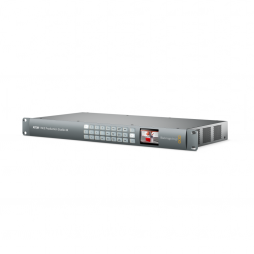 Taking up just one rack unit (1U), the Smart Videohub 20×20 features a built-in monitor screen and jog-dial control to allow source & destination signals to be quickly viewed and routed. The router automatically detects and supports multiple formats simultaneously, meaning a combination of SD, HD & UHD sources can all be connected and distributed at the same time. Embedded audio is fully supported along with timecode and other metadata in the SDI stream. An Ethernet port on the router also allows remote network control from a Mac or PC. 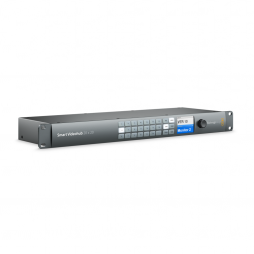 The Smart Videohub 20×20 is ideal for multi-camera, live production and is also useful for other applications where multiple video signals needs to monitored and routed. 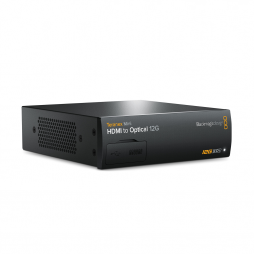 We can recommend using this item alongside our range of Blackmagic Design products, including the ATEM 1 M/E Production Switcher and Broadcast Panel. 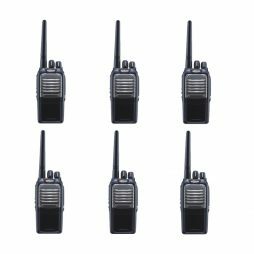 Set of 6 high performance walkie talkies for clear, reliable and long distance wireless communication. Each handset has 16 separate channels available to select. Our rental kit is comprehensive and includes lightweight headsets, multi-charger and spare batteries. The handsets are fully licensed by Ofcom for use throughout the UK. UltraStudio HD Mini is a portable Thunderbolt 3 capture and playback solution that’s small enough to take anywhere and powerful enough to work on high end projects. It can capture and playback all formats up to 1080p60 in full 10-bit YUV, or up to 1080p30 and 2K DCI in 12-bit RGB. 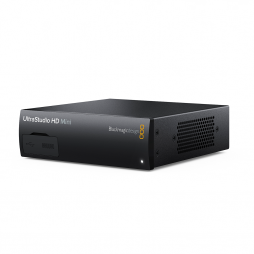 UltraStudio HD Mini features HDMI output for monitoring on a big screen television, dual 3G-SDI outputs for fill and key playback, plus analogue audio and video inputs for digitising and archiving materials from older analogue decks. UltraStudio HD Mini supports more editing, design and video software than any other capture product. The unit allows full editing compatibility with DaVinci Resolve, Final Cut Pro X, Media Composer, Premiere Pro and more. It can be used to create stunning visual effects with Fusion and After Effects, and for colour correction with DaVinci Resolve. High specification 5″ daylight view-able monitor designed for on-camera applications where precise image composition, colour and exposure assessment is required. Features of the SmallHD 503 UltraBright monitor include a 2200 nit brightness display, SDI & HDMI inputs, dual A/B source monitoring and 3D LUT support. Monitor functions are also quickly accessible via the intutivite joystick control. We supply the SmallHD 503 monitor kit with both battery and external power options as standard. 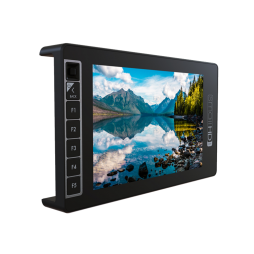 Touchscreen monitor featuring a 7″ display and recording/playback capability in ProRes and DNxHR formats at both 4K & HD resolution. The Blackmagic Video Assist 4K supports 3D LUTs, SDI & HDMI sources/inputs and histogram display. Audio can be recorded via embedded SDI or independently using the two mini-XLR connections. Files are recorded using dual SD card slots which can be camera triggered and can enable continuous recording when one card is at full capacity. The Smart Assist 4K is compact enough to be used as an on-camera monitor/recorder but is equally suited to providing record and playback for an on-set ‘video village’ application. Our comprehensive rental kit includes batteries, mains power supply, SD cards and SDI/HDMI cables. Signal converter capable of transmitting bi-directional SD/HD video, multi-channel audio, tally & comms. over a single optical fibre cable. Highly useful for multi-camera production where the distance limitations of regular coax (BNC) cable are not sufficient. 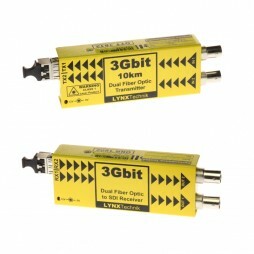 Supplied as a two-way transmitter and receiver kit, the Lynx Yellobrik Dual kit allows you to send 3G SDI & HD-SDI signals up to distances of 10km using optical fibre cable. This is a popular item when hired with out Blackmagic Design ATEM kits for portable studio/OB productions. The Teranex Mini, HDMI to Optical 12G converter, converts HDMI devices such as HD cameras and game consoles to 12G-SDI or optical fibre up to a resolution of 2160p60. It also offers the choice of embedded audio from HDMI, AES/EBU or balanced analogue audio inputs. This unit allows you to send HDMI signals over long optical cable runs. 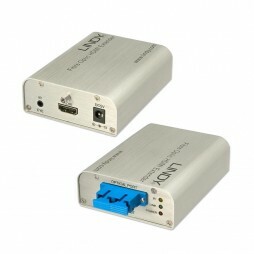 It is ideal for converting HDMI consumer cameras or computers with HDMI outputs to SDI or optical fibre. For extending the range of HDMI signals up to a range of 300m. Supports most multi-format HD & 4K HDMI signals. 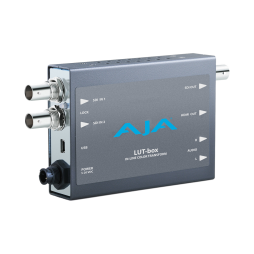 A compact and portable LUT box powered either by mains or a V-Lock battery plate, making this AJA box usable in any environment. 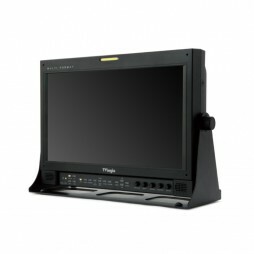 Dual 8″ LCD HD-SDI monitor panel with rack-mount fitting. We send the Smartview Duo in a lightweight, durable case allowing you to rig HD monitoring solutions pretty anywhere. 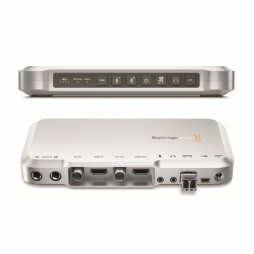 Recommended for use with the Blackmagic ATEM 1 M/E Production Switcher as part of a mobile studio set-up.